Adorable way to showcase everyday stuff. 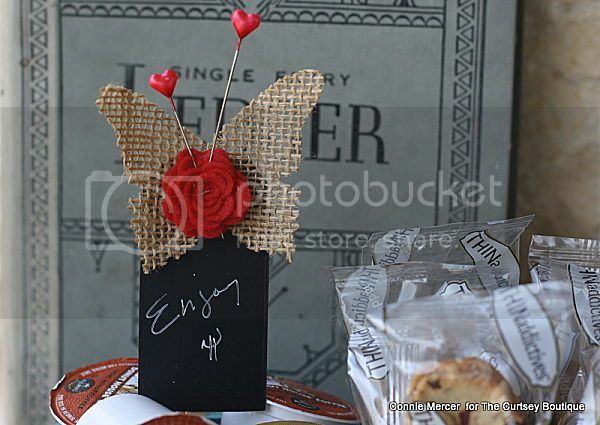 love those berry baskets.. fabulous idea. What a great idea!!! I loveeeeeeee them!!!!! Such cute stuff. I try and stay off of Etsy - I can't seem to leave there without spending money! Had to know those berry baskets were on your blog:). Some of the farmers at the Farmer's Market (summer) still give them, but I take them back the next week. The enamel tray's a neat idea. what a fun way to use those berry baskets! Lovely idea! 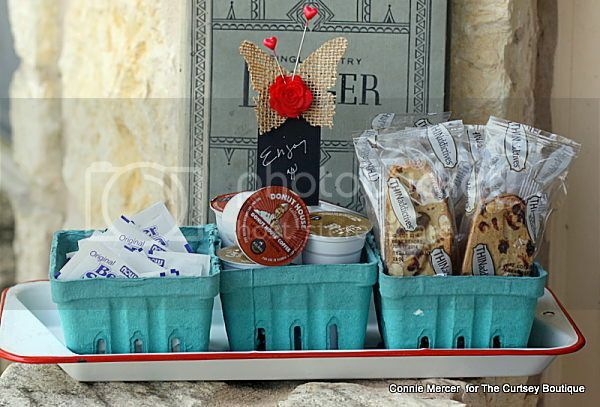 And I love the ..."retro" style of baskets! I love how you dressed up these adorable baskets. Love the chalk tag too!